Large international companies bring jobs to Australia in terms of sales, marketing and customer support. However, more jobs could be created if they also increased their R&D spend here. 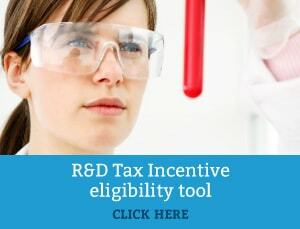 Why should multinational corporations undertake R&D in Australia? First off, they can take advantage of our top graduates. Australia has eight universities among the top 200 in the world and numerous companies are already partnering with Australian universities to develop innovative products. However, compared with countries like Korea, Germany, Israel and the UK, Australia has a very small percentage of large firms collaborating on innovation with higher education (around 5 percent compared to Germany’s 40 percent). Undergo a process of experimentation involving a hypothesis, testing, observations and conclusions. Currently the tax incentive program is most popular with startups and small business. The Shadow Minister for Digital Economy, Ed Husic has stated that multinationals are not committing to R&D in Australia and has been calling for tech companies in particular to invest here. Australia provides an excellent market opportunity for US tech businesses in particular, as an English-speaking nation with a keen technology uptake. If Australia does not increase its contribution to global innovation, it is at serious risk of falling behind. It is currently ranked 23rd by the Global Innovation Index and is outranked by neighbours New Zealand, Singapore, Korea, Japan and China.